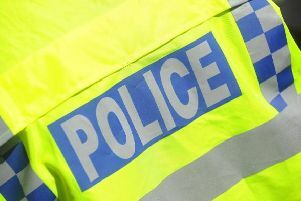 Two people have been taken to hospital after a crash involving a lorry and two cars in Northampton this morning. Emergency services were called out to Kingsthorpe Road, near ATS Euromaster Ltd, after the crash happened at 8.55am. The air ambulance landed nearby at the former Northampton United Trades Club site and a number of other ambulances are also in attendance. Chris O’Neil, who works at Mario’s food van, witnessed the crash and helped the people injured. He said: “There were two people in the car that got hit by the lorry. One of them dragged the other one out of the car. A police spokesman said two people were taken to Northampton General Hospital. The road is closed northbound between Burleigh Road and Cartwright Road. The spokesman said the road is still partially open but drivers are experiencing delays in the area.